In this guide I'll explain exactly how you can Summon other players to your world including which items you will need to use and how the various phantoms work. There are two forms of multiplayer in the game; one for Co-Op and the other for PvP Invasions, I'll cover both in this guide. 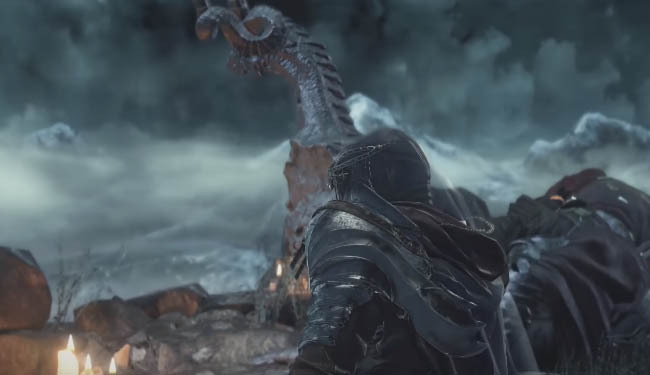 Dark Souls 3 behaves slightly differently to most online games. You can of course choose to play offline altogether and avoid the PvP element but otherwise you are always part of a larger online environment, whether other players are visible or not. It's easy to leave simple clues for other players in the form of messages but there is also a much larger aspect where you can join (or be joined) by others players. This is exactly the topic I will focus on here. Multiplayer is possible in several ways in DS3. You can choose to join other players to help them out or similarly request aid for yourself on a particularly tough boss or questline. You can also choose to invade other players directly (i.e. attack them in their world) which is more of a traditional PvP approach. PvP is both forced and freeform in the game. 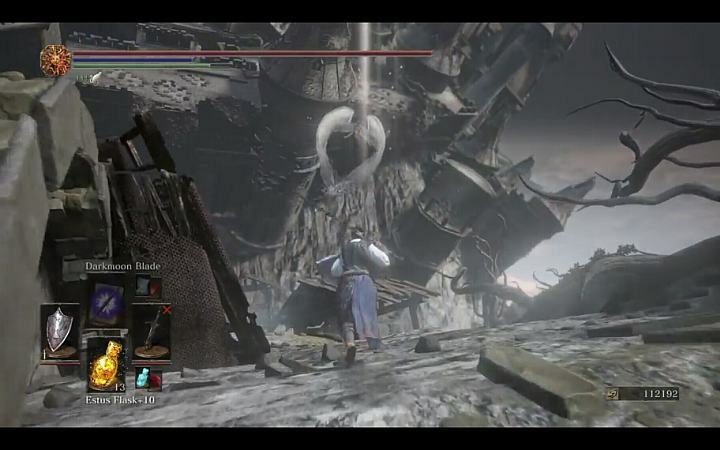 For example if someone is invading someone else, the host player may or may not have co-op help and the fight occurs wherever the host happens to be. Although Invasions sound random there is a large dedicated community of PvP players (usually long time DS players) who often look for straight up duels (rather than picking random players - known as "ganking"). If you prefer to enjoy PvP combat and nothing else then check online forums so you can find the level ranges and locations where intentional PvP tends to occur. Experienced players will tend to huddle in known locations to reliably enter invasions with like minded opponents. Finally, Covenants play an important role in the game and they're kind of like Factions in other online games. Covenants support both PvP and Co-Op scenarios. Joining a Covenant is fairly straightforward and each Covenant offers different rewards (equipment and materials) for fulfilling PvP duties e.g helping or hindering other players. Generally speaking, the early Covenants focus on PvP protection for new players, PvP hunting for slightly more experienced players, and co-operative play. Later in the game the Covenants are focused on PvP in other ways e.g.. they actively hunt other players for trophies, or they "defend" a specific area in the game against interlopers in a location that the Covenant values. Covenants (and also the entire PvP and co-op system) are completely optional. You can choose to play through the entire game without other human players if you so choose,, but if you are interested in co-op and PvP gameplay then these aspects can be rewarding and entertaining, extending the lifetime of the game even further.. If you're online and have the Strength of Fire, you can join others co-operatively, summon them to aid you, or be invaded by opposing enemies. By using the White Sign Soapstone item, you open yourself up to be summoned to other players' worlds. Once summoned you can help them defeat bosses that are causing them grief, and in return, you gain the Strength of Fire just as if you'd beaten the boss normally or used an Ember. This process is the perfect way to keep yourself at full strength, rehearse and refine your skills against bosses, and help others at the same time. There are few negatives to this though. Once summoned there is still a chance that you will be attacked by invaders, or you might lose to the boss. However, these are common risks in the game that you must accept even in your own game. It's nothing new, and the punishment for failure is no worse. While in another person's world, you are considered a Phantom. This is a terminology used in Dark Souls to relate to a companion being present in another person's world. Every type of Phantom has a colour with Red Phantom invaders coming to harm the host of the world, while White, Blue, and Gold Phantoms are there to help. Players often encounter problems trying to be summoned or summoning other players. My best advice is to remember that while you're waiting to be summoned, stay away from boss areas. Going into them causes your summon sign to disappear from other worlds and hence no one else will be able to see and use it. The same is true if you leave the larger area where you placed your sign, so don't wander too far off otherwise the same problem occurs. Killing a boss immediately sends you home, but fighting regular monsters does not. Feel free to attack your host's enemies. For the best chance of being summoned, make sure you leave your sign close to critical areas, boss rooms, and well-traveled portions of each region. If you're hoping to be summoned by someone on your friends list, choose an obscure location instead to avoid interference from other players. This lowers the chance that a random person will summon you before your buddy finds the symbol (you should also consider passwords as well). When you're having trouble with a boss or just want to play with allies, look around for summoning symbols on the floor. These symbols are the key for to bringing friends into your world. You must have an Ember item or already be filled with the Strength of Fire before you can even see the symbols. Embers can be found in the open world or purchased in limited quantities from some merchants. The Strength of Fire is gained by helping others or killing the host during an invasion. Once you have the Strength of Fire, search around the outside of boss areas for the best chance of finding a summoning symbol. The main access points and pathways through each area are likely to have these symbols. Phantom allies can stay and help you fight regular monsters, invaders, and bosses. Once a boss is defeated, your friends are returned to their worlds and will be rewarded for their efforts. In addition you get the advantage of surviving tougher battles with a reduced chance of death. Invasions are launched by anyone who has a Red Sign Soapstone, A Red Eye Orb or a Cracked Red Eye Orb. Invasions are designed for one player to attack another human player, by mutual invite or by forcing the fight. Red Eye Orbs are permanent invasion items that are used to invade other players who have the Strength of Fire. 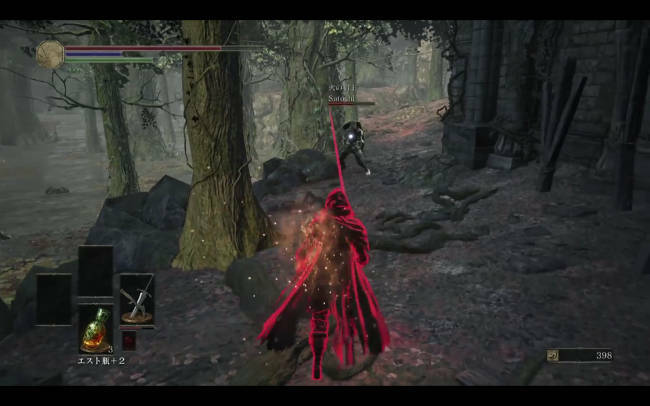 The invader attempts to kill the host (the person that they are invading) and will gain the Strength of Fire if they succeed. The NPC Leonhard gives you the Red Eye Orb eventually. Make sure you take a lift down, and fight a Darkwraith there to receive the Red Eye Orb. Once you have it you can invade others at will! Cracked Red Eye Orbs do the same thing, but they're one-use items that are expended in the invasion. Red Sign Soapstones are similar, but they place an invasion sign in target worlds until someone accepts the invitation. It's like a mutual acceptance between both players that they actually want an invasion fight rather than an unexpected one. Red Sign Soapstone will help the invader match against other players who are prepared and excited to fight. To get this powerful item, fast travel to the Cathedral of the Deep. Up high inside the cathedral, cross the bridges that lead to the chamber of Rosaria. Kill the Man-grub outside of her room to get the Red Sign Soapstone. Invasions don't occur if you lack the Strength of Fire, so it's safer to travel around in this state. However, you will lose the 30% health bonus which the Strength of Fire provides, which essentially means that monsters are more of a threat.